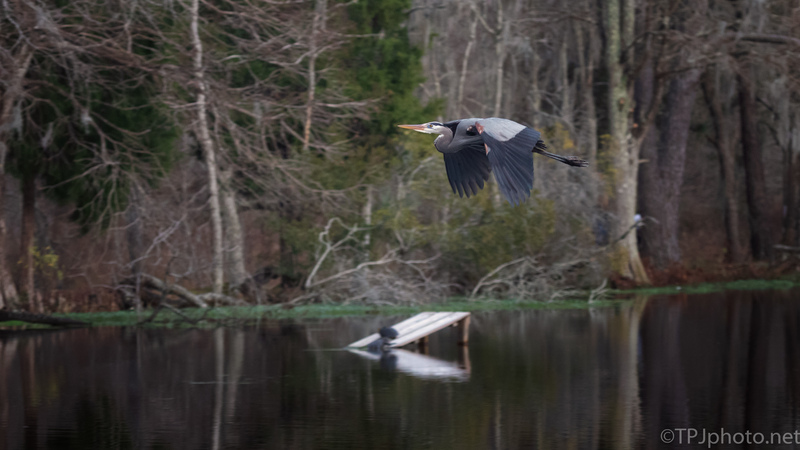 Photograph taken at the end of the day, as the Herons hurried to collect nesting materials. I always try to capture as much of the surroundings as possible with these images. The perspective is great to understand and see the environment they live in. 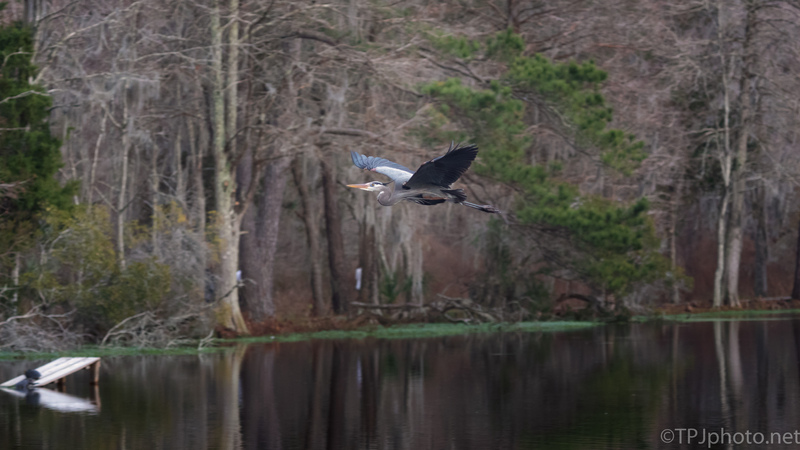 Great Blues build nests in cypress trees and small islands because they are surrounded by water, safer from predators. In areas like the Lowcountry an added bonus is Alligators. Another animal can swim out and climb a tree to raid the nests. 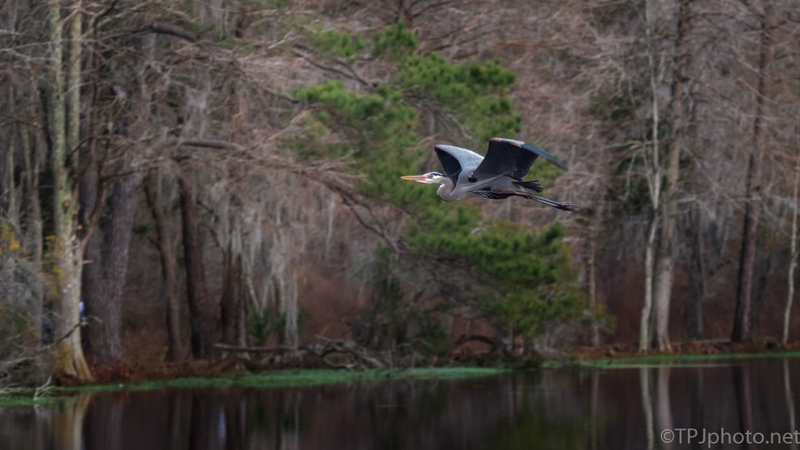 The Herons know this, so do the Alligators.